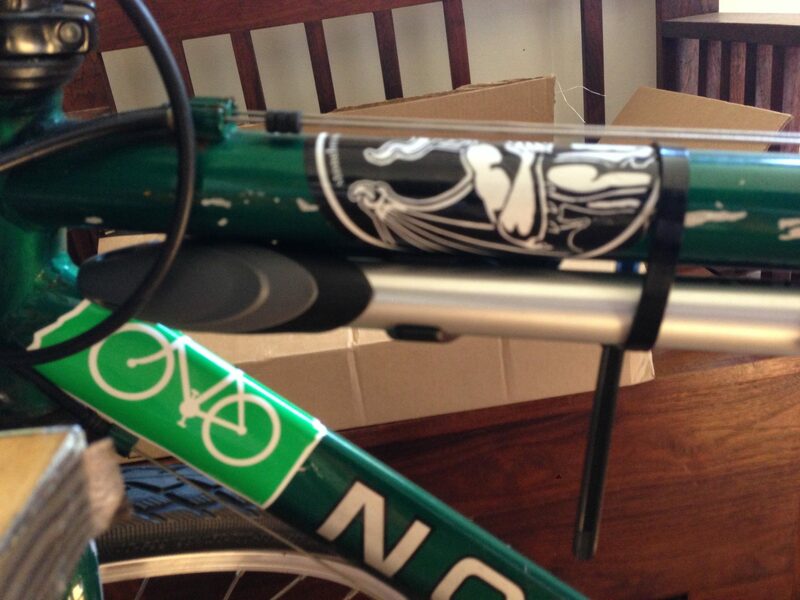 Do you prefer a clean look to your bike frame or are you the type to put stickers and a custom paint job on your ride? My west coast bike (it lives in my brother’s garage while I’m away) has taken on some decals, but my main bike at home in DC looks the same as the day I bought it (except for tour-scars of course! ).